¿Cómo estás?.. Everythings is going pretty good here. We had another pretty awesome district meeting this morning. We talked about the ways we can help our investigators to come to church more and practiced challenging people to come to church. 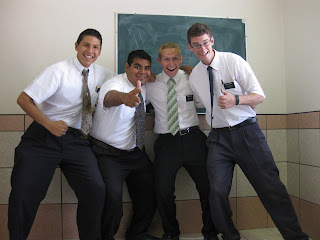 Probably the most important part is bearing your testimony about assisting church and talking about all the blessings they will recieve. Most people aren´t going to do something new without hearing about what they´re going to recieve for doing it. The goal then is for them to understand that Heavenly Father really blesses us everytime we follow his commandments. Every commandment equals a blessing, if you want more blessings you obey the commandments. It´s really that simple, but the world will always tell us otherwise. We did find some more people to teach and that was pretty cool. We were teaching a family, 3 kids, and they all were very excited about the gospel. Unfortunately they told us the last time that they visited that their parents don´t want them to go to our church because they already have one. We want to talk with the parents this week (haven´t met them still) and hopefully get their permission to keep teaching. I could understand how people might be hesitant to have their kids talking with a white guy in a shirt and tie and his companion ha. Sounds like everybody is doing well at home. The weather is starting to change here but it isn´t normal at all. 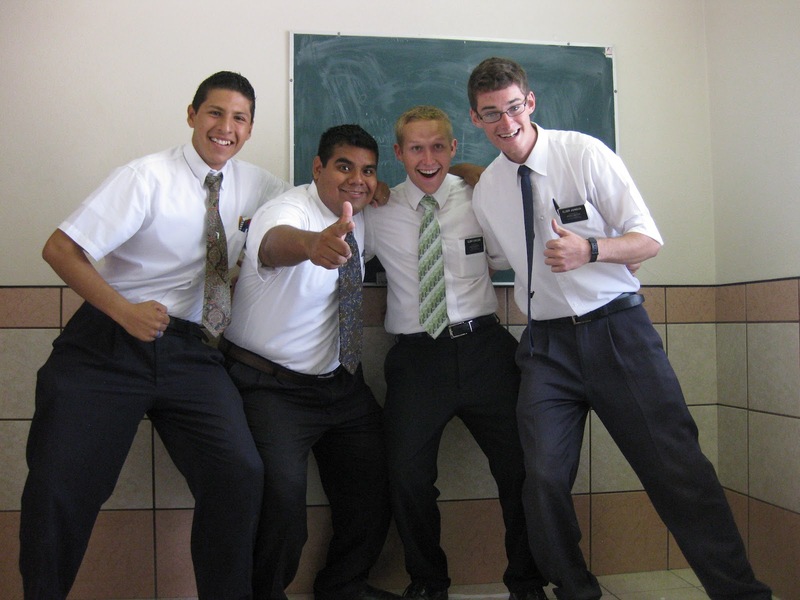 Probably the most exciting part of my week is one of the kid´s in our ward recieved his mission call sunday. He´s going to Massachusetts Boston! How awesome is that?! 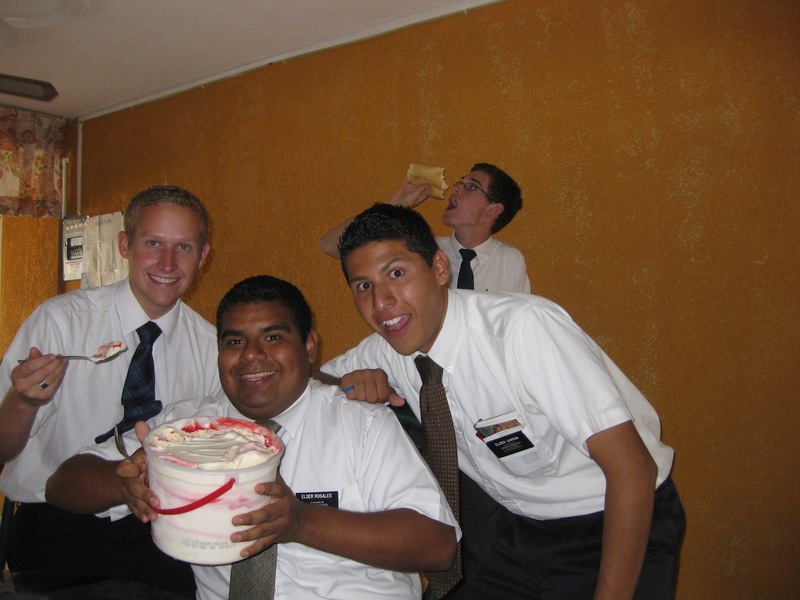 Anyways, I was pretty excited for him and told him how he´ll get to eat a lot of cookies in the Provo MTC and hear some cool devotionals... As always you´re all in my prayers. Thanks for all your prayers, love, and support! P.S. This is my district, the big guy is my companion. We ate ice cream today for like my second time in Mexico!